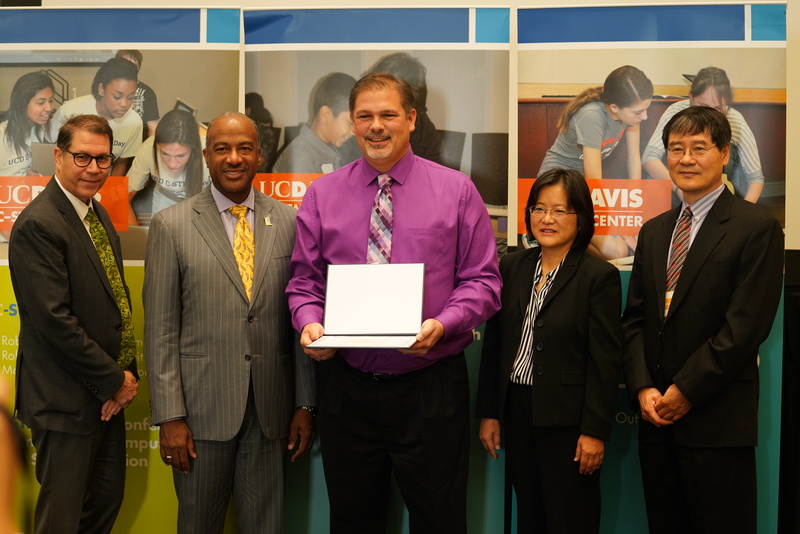 The UC Davis Center for Integrated Computing and STEM Education is proud to present four categories of awards, C-STEM Teacher of the Year, C-STEM Administrator of the Year, C-STEM Service Award, and C-STEM School of the Year at the annual C-STEM Conference. These awards recognize contributions by teachers, administrators, volunteers, and schools for providing excellent integrated computing and STEM education for K-14 students throughout the year. C-STEM Teacher of the Year Awards recognize C-STEM teachers for their exceptional contributions in teaching computing, integrating computing into STEM subjects, and inspiring students to pursue careers and post-secondary study in C-STEM fields. Award recipients are selected by the C-STEM Awards Committee consisting of the university faculty, graduate students, and undergraduate students.